This recipe doesn’t require many ingredients, so it’s great for a day when it’s raining or just way too hot out to make a trip to the supermarket. And it’s healthy, because it’s mainly veggies? That cancels out the frying, right? If you feel like baking these pancakes instead, let us know how they turn out! Maybe I’ll try that with the 3 more pounds of summer squash I just picked up! 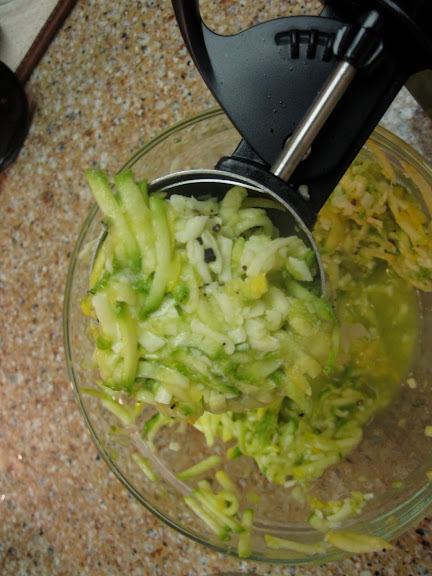 Mix together squash, cheese and seasoning. Heat oil in skillet, enough to generously cover the whole bottom of the pan. Serve on a bed of salad and top with your favorite tomato/marinara sauce. Or make into a sandwich using fresh pita bread. Or eat them plain. The possibilities are endless! 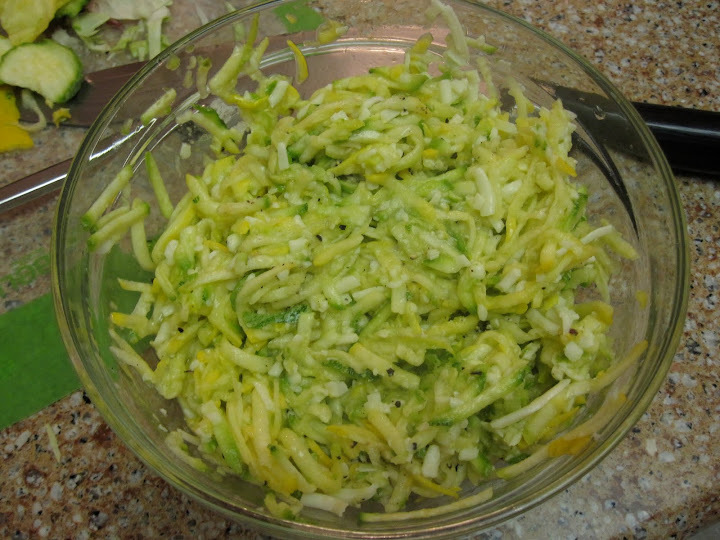 This entry was posted in Uncategorized and tagged csa, squash, to export, zucchini. Bookmark the permalink. Look just like potato pancakes, I will sneak these in, replacing the potato pancakes and see if the family notices. They aren’t big squash eaters, will give them a surprise, especially if they like them.